PARCA E-News: Are your workstations infectious? 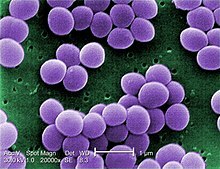 PARCA eNews – June 30, 2015 – A 2013 study in the Journal of the American College of Radiology found that 64.3 percent of workstation sites had evidence of Staphylococcus aureus and 21.4 percent showed signs of enteric organisms. Microphone and mouse bacterial contamination was significantly greater than that of nearby washroom toilets and doorknobs, but brief antiseptic swabbing almost completely eradicated the bacterial counts. A more recent study showed that radiologists surveyed about disinfection practices who were were emailed a presentation along with placards placed at each workstation reminding radiologists to disinfect their work area daily and the importance of and proper techniques for workstation disinfection, improved their disinfection rates. Before the presentation and placards, the survey showed that of the 84 radiologists who took part in the survey, almost all (98 percent) said they routinely drink water, tea, or coffee at their workstations, and nearly half (46 percent) said they eat lunch at their workstation. Less than half (42 percent) said they wash their hands before working at the workstation, and half said they wash their hands after working at the workstation. A total of 54 percent said they disinfect their workstation at least once per week, and the balance (46 percent) said they disinfect their workstation less than once per week or never. After clinicians received the education and were exposed to the placards for six weeks, the second survey was administered to see if the participants had changed their disinfection practices. Those who disinfected their workstations at least once a week increased by 20 percent to 74 percent. And the number who disinfected their workstation less than once weekly fell 20 percentage points, to 26 percent. While the workstation disinfection rate improved, the practice of hand washing or using hand sanitizer before or after working at the workstation did not change significantly.